Maintain an even and correct engine temperature with Crown Automotive thermostats. A malfunctioning thermostat will result in numerous engine problems that can cause severe damage to your vehicle. 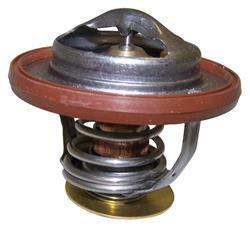 Crown Automotive provides you with a simple solution: a quick replacement of your old thermostat. They're constructed out of top-quality materials that meet OEM standards for a proper factory fit.